Should You Have a Safe Deposit Box? We all have important documents, and most of us have at least a few sentimental items, that we absolutely want to keep safe. Sure, we want to keep most of our things intact, but there are few items that require special care. To that end, we want to keep them in a safe place. 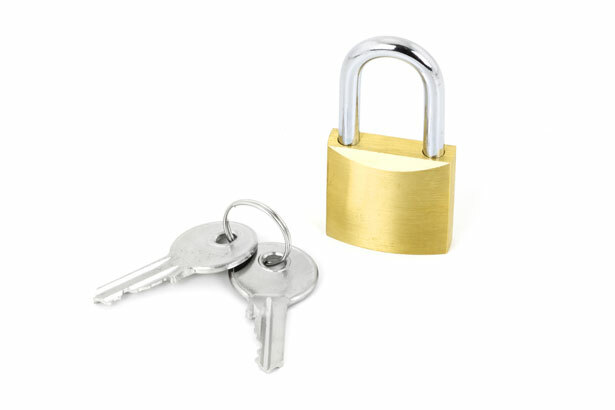 To keep key valuables safe and secure, one option some people take is to rent a safe deposit box. Some people like this practice and swear by it, and others don’t like the idea of keeping valuables outside of their immediate possession. Let’s explore the question: should you have a safe deposit box? Your bank’s vault is more secure vs thieves. If you have a safe deposit box, you will generally have to show your picture ID, be authorized to access the box, sign in, have the specific key for your box with you, and be accompanied to the locked, secure room by a bank associate – all while being on camera. That’s a more rigorous defense system for your valuables that someone coming into your home. Thieves can probably figure out where you keep your valuables. Do you keep your valuables in your master bedroom closet? Perhaps in a safe? Under your bed? Maybe in your den? Crooks can figure out how we think, and where we are most likely to keep important things. We all hear news accounts of dumb criminals, but realistically, if the bad guys want to find your stuff, they probably can. Your safe can be carried out. If you keep a safe somewhere in your home, unless it’s incredibly heavy or very securely attached to your home, home intruders can figure out a way to take it. A safe deposit box is more secure vs fire and water than your home. Think about it – the safe deposit box is constructed securely, and is housed in a vault that’s constructed to be solid. Is your place of residence constructed that safely? Insurance premiums. Some companies may charge lower premiums on items kept in a bank safe deposit box vs being kept at home. In an emergency, safe deposit boxes are less accessible. If you need a passport for overseas travel, power of attorney documents, and other items that you might need in a hurry. Remember, the box will likely be accessible only during your bank’s normal hours. And many of us have heard the term “banker’s hours”, so we know what that can mean. Contents are not FDIC insured.If you have financial assets, and they are not held in accounts in the bank but are simply in a safe deposit box, they are not FDIC insured if they are damaged or stolen. Safe deposit boxes cost money. These can range in cost depending on size, but typically cost at least $50 to $100 annually. Often, these costs can go much higher. Could be declared “abandoned”. This depends on laws on a state by state basis, but if you don’t pay your rental fees for an extended period of time, the contents may be declared abandoned and turned over to the state’s unclaimed property office. If you’re not careful, or lose sight of this administratively, you could be in for some hassles. Items are not in your immediate possession. For many of us, there is a sense of security, or peace of mind, knowing that our valuable are actually with us. At some level, maybe in our subconscious, we have it in us to be like little children when it comes our stuff – it’s MINE! Additionally, sometimes we might want to look at or show certain valuables, such or jewelery, collectibles, etc. Personally, after weighing the positives as well as the drawbacks of a safe deposit box, and considering the alternatives, I rented one for myself and recommend safe deposit boxes. Now, it’s not as convenient as having important documents and valuables at home, and the accessibility aspect has caused me some hassles. For example, I recently needed a document during the work week, but needed to wait until the weekend to access it. Fortunately, it didn’t cause me problems in the end, but it could have. However, despite those types of drawbacks, I feel that certain important documents and valuables are safer in my safe deposit box than in my home, even though I live in a safe area. To me, safety and risk management is more important than convenience. Tip: whether you keep papers or other valuables in a safe deposit box or at home, keep them in a sealable, airtight, water-resistant container. For example, a large ziplock bag. This helps minimize potential damage from any water damage. What about you? What are your thoughts on safe deposit boxes as a way to store valuables? This post was included in the Carnival of Personal Finance at Personal Finance Journey. Share the post "Should You Have a Safe Deposit Box?" This article was balanced, and I agree with your conclusion that safe deposit boxes do have a role in securing important items. I do hate that they are not FDIC insured. Don’t banks typically have other insurances in place? We used to have a safe-deposit box, but we closed our account with that bank so we no longer do. However, you have motivated me to check out the rates at our credit union. I would like to get some of our important documents in a safe place. So many banks don’t offer boxes anymore and privacy can be an issue. I found a great place in Dallas that for 32 years has been the safest and most private place to store anything – Inwood Security Vaults. Check it out. We have a safe deposit box. Although we have a fire-proof safe, you’re correct in that they can simply be carried out of your house. Most of what is stored in our safe deposit box is paperwork that would be a total pain to replace in case of fire. Especially bonds that are not registered with Treasury Direct.